AFC North now the NFL's toughest division? Published: Sept. 15, 2014 at 06:02 p.m. 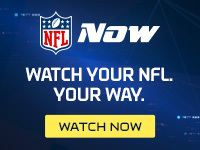 Updated: Sept. 15, 2014 at 07:48 p.m.
With Baltimore opening its schedule against three straight opponents out of the rugged AFC North, John Harbaugh knows what he's up against. "We may be in the best division in football," the Ravens coach told reporters on Monday, six days before his team's showdown with the Cleveland Browns. It's far from an outrageous claim. Before the season, Around the NFL writers voted Pittsburgh as the AFC's third best team behind the Broncos and Patriots. The Ravens earned our fifth-place spot in the conference while the Bengals landed seventh. The Browns, meanwhile, have long wandered the wilderness of the damned, but Week 1's tight loss to the Steelers and Sunday's stunner over the Saints suggest growth. Gregg Rosenthal: The NFC West remains the king until proven otherwise, but the AFC North and the NFC South aren't far behind. The Cardinals' continued feistiness gives the NFC West the slight edge for me. Chris Wesseling: I want to say NFC West or NFC North, but I'm underwhelmed by every division so far. I'll default to the NFC West because they have the NFL's best team and trustworthy coaches in Bruce Arians and Jim Harbaugh. Dan Hanzus: I'm still rolling with the NFC West. The Seahawks and Niners get the benefit of the doubt despite Week 2 losses. The Cardinals are off to a great start and the Rams have enough players to be competitive most weeks. Dave Dameshek: As I said before the season, the two Norths would be the best divisions in the NFL this year. So far, the NFC's North has had mixed results, but the AFC North appears to be for real. I'll side with Harbaugh -- and 'Shek -- and the AFC North. For that to stick, though, the long-lost Brownies must prove to be more than a one-week mirage. Playing the Ravens on Sunday should serve as a proper acid test.